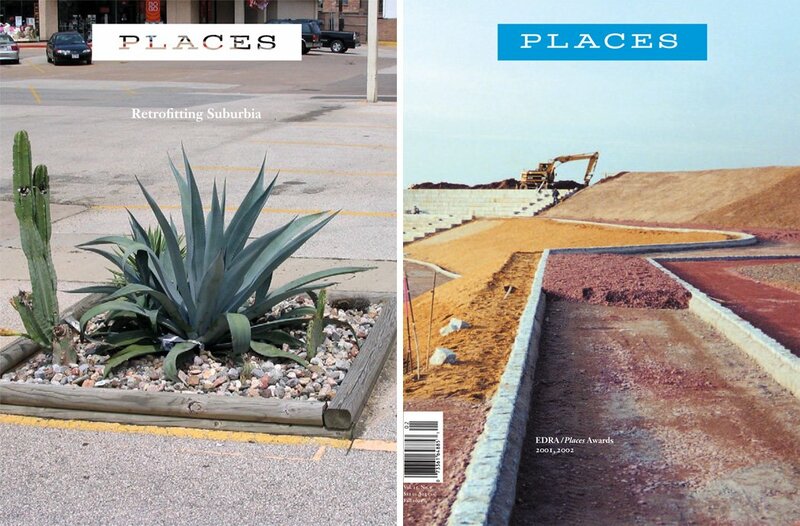 Places is grateful for the support of a network of academic partners, all of which provide funding and editorial advice. The Aarhus School of Architecture is an institution of higher education under the Danish Ministry of Science, Innovation and Higher Education, which has as its objective to offer, on an artistic and scientific level, education in architecture until the highest level, to practice artistic innovation work, and, on a scientific basis, to carry out research within the field of architecture. We carry out research and teaching on all levels of scale of the architectural profession — from design and architecture to urbanism, urban landscapes and physical planning. Regardless of the area of study, we always emphasize the core competences of the architect, the artistic approach to assignments and the ability to work spatially as well as visually. In our workshops scholars, teachers and students produce models and prototypes, often in full-scale. The School’s vision is “Engaging through Architecture,” which means that we focus on educating architects who are aware of the responsibilities they have as designers of our future material and immaterial surroundings and who are able to engage actively and critically with society. The School’s focus areas for the coming years will be Habitation, Transformation and Sustainability. We also focus on Research by Design and on developing new teaching methods (didactics). The CUHK School of Architecture is firmly committed to developing students’ core competency and critical thinking in order to achieve design creativity and leadership that enable lasting contributions to our built environment. The curriculum is structured not merely to train students to join the architectural profession, but to educate them in adapting to inevitable, future changes to be encountered during their careers. Under the leadership of Professor Nelson Chen, the School seeks to integrate design and research in its accredited professional programme comprising four-year BSSc in Architectural Studies and two-year MArch degrees. Other postgraduate degrees include the MSc in Urban Design; Architectural Conservation and Design; and Sustainable and Environmental Design, in addition to the MPhil and PhD research degrees. There is no more exceptional time and place to study and practice architecture and urban design than now in Hong Kong, situated at the heart of the region in China and Asia where 21st century cities are changing and growing with unprecedented speed and scale. Our graduates will be challenged to become both visionary and grounded in order to design buildings and cities both beautifully and responsibly while striving to shape a better world for their generation. Founded in 1881, the Columbia University Graduate School of Architecture, Planning and Preservation (GSAPP) confers Masters Degrees in Architecture, Advanced Architectural Design, Urban Design, Urban Planning, Historic Preservation, Real Estate Development and Critical, Curatorial, and Conceptual Practices in Architecture, as well as Doctoral Degrees in Architecture and Urban Planning. As a leader in developing new forms of design research and scholarship to open up new territories for more meaningful practices of architecture and the design of cities, the school combines pioneering experimentation with an uncompromising engagement in New York and various cities across the world, offering students an unparalleled spatial network of resources and exchange. Under the leadership of Dean Amale Andraos, Columbia GSAPP is a laboratory for learning that weaves together cutting edge design skills, incisive critical thinking and new forms of knowledge as students and faculty engage one another in a spirit of intellectual generosity that strives to re-imagine the future of architecture, cities and the environment. The College of Architecture at Georgia Tech has been a leader in design innovation since 1908. Students, faculty and researchers in the Schools of Architecture, Building Construction, City & Regional Planning, Industrial Design and Music work across boundaries to advance knowledge of designed environments at all scales, producing new realms of experience and creativity. Georgia Tech offers bachelors, masters and doctoral studies in architecture, building construction and industrial design; and masters and doctoral studies in planning and music. The College’s interdisciplinary research centers apply cutting edge research in partnership with corporate, government and nonprofit agencies. These centers include the Center for Assistive Technology and Environmental Access (CATEA); the Center for Geographic Information Systems (CGIS); the Digital Building Laboratory (DBL); the Georgia Tech Center for Music Technology (GTCMT); the Center for Quality Growth and Regional Development (CQGRD); and the Construction Resources Center (CRC). The MIT School of Architecture + Planning believes that design and policy interventions should be grounded in a commitment to improving individual human lives, equity and social justice, cultural enrichment and the responsible use of resources through creative problem-solving and project execution. The unifying theme of all our activities is design. Through the design of physical spaces, and through the design of policies and technologies that shape how those spaces are used, we aim to sustain and enhance the quality of the human environment at all scales, from the personal to the global. The Oslo School of Architecture and Design (AHO) offers a unique research-based education of international standing. Established in 1945, today it has built a solid national funding base and achieved prominent international ranking. AHO awards three Master’s degrees in Architecture, Landscape Architecture, and Design, as well as a PhD program. Four institutes — Institute of Architecture, Institute of Urbanism and Landscape, Institute of Form, Theory and History, and Institute of Design — organize the education at AHO. Each Institute has its own research centre that informs and inspires teaching and practice. The international faculty consists of academics and practicing professionals who provide the necessary breadth needed for a contemporary architecture and design education. The school has approximately 650 students, and follows a studio-based model with a faculty-to-student ratio that encourages individual development and collaboration. AHO offers Master’s degree programs that are designed to equip students to enter directly into professional practice or academia. Students may specialize in the fields of architecture, landscape architecture and urbanism, industrial design, interaction design, and service and systems-oriented design. The school also offers post-professional Master’s courses in urban studies and architectural conservation. AHO offers a single type of doctoral degree, the Doctor of Philosophy. The PhD program is organized as a separate academic and administrative unit and includes approximately 50 PhD candidates who, along with AHO’s established academic staff, research artistic and academic problems. As an international school, AHO’s Master’s and PhD program are taught in English. International students constitute 25% of the Master’s students and 50% of the PhD candidates. The school has three unique workshops for wood, plastic, and metal, alongside a full-scale construction hall, Rapid manufacturing labs, libraries, and the most current IT resources. Studios, data labs, and unstaffed workshops are open to students 24 hours a day, seven days a week. AHO is located in the centre of Oslo, at Vulkan, a revitalized industrial area for innovation, creativity, and culture near the Aker River. Founded in 1887, Pratt Institute is a global leader in higher education dedicated to preparing its 4,700 undergraduate and graduate students for successful careers in architecture, art, design, information and library science, and liberal arts and sciences. Located in a cultural hub with historic campuses in Brooklyn and Manhattan, Pratt is a living lab of craft and creativity with an esteemed faculty of accomplished professionals and scholars who challenge students to transform their passion into meaningful expression. The School of Architecture’s mission is to educate the future leaders in architecture, urban design, city and regional planning, construction and facilities management, environmental management, and historic preservation. This effort builds upon a strong context of professional education within Pratt that stresses the relationship between intellectual development, creative activity, and innovation. The importance of independent learning is emphasized through the School’s studio-based curricula and research-oriented bachelor’s and master’s degree programs. SCI-Arc is internationally renowned for its innovative pedagogy, advanced technologies and an emphasis on design. An independent, accredited degree-granting institution offering undergraduate and graduate programs in architecture, SCI-Arc brings together accomplished architects who educate a new generation by cultivating intellectual confidence and the ability to conceive, produce and defend new ideas. SCI-Arc is an experimental laboratory that arises from an educational model that is informal, collaborative and supportive. Our students share their commitment in a rigorous, immersive studio culture with a palpable energy. Each student has a dedicated workspace where faculty engage in one-on-one dialogues guiding students through contemporary thought, practice and expertise. The studio culture is supported by a lecture and gallery exhibition series, as well as state-of-the-art facilities that include a robot lab, the latest in analog and digital fabrication equipment, print center, and library. Located in a quarter-mile-long former freight depot in Downtown Los Angeles, the school is praised as a bottom-up phenomenon where conceptual and intellectual diversity in the faculty and student body helps shape the direction of the school and that of the architecture profession as a whole. We envision a generation of architects dedicated to crafting buildings, places and institutions that create vibrant, vital, and sustainable cities. Using the rich environmental, historic and cultural landscape of New Orleans as a laboratory, framed by the effects of a natural and human-produced catastrophe, our programs engage students in an ongoing effort to reconsider and rebuild New Orleans. Students learn that architects are uniquely suited to be leaders in a movement toward an urban renaissance of sustainable design and community engagement. Outreach and other forms of engagement through sustainable design investigations, community planning, building construction, and preservation practices are integral to our mission in preparing students for leadership positions in design professions and in their communities. Degrees offered included: Bachelor of Science in Architecture, Master of Architecture (undergraduate and graduate), Master of Preservation Studies, and Master of Sustainable Real Estate Development. The Fay Jones School of Architecture and Design at the University of Arkansas houses professional design programs of architecture, landscape architecture and interior design together with liberal studies programs. All of these programs combine studio design education with innovative teaching in history, theory, technology and urban design. A broad range of course offerings equips graduates with the knowledge and critical agility required to meet the challenges of designing for a changing world. Their training prepares students with critical frameworks for design thinking that also equip them to assume leadership roles in the profession and in their communities. The school is housed in the recently renovated Vol Walker Hall and the Steven L. Anderson Design Center addition. Students have dedicated studio desks, with the design disciplines integrated throughout the building. Curriculum is enhanced by a robust lecture and exhibition series. The school’s architecture program was ranked 26th in the nation, and the 12th best program among public, land-grant universities, in the 16th annual Survey of America’s Best Architecture and Design Schools, a study conducted in 2015 by the Design Futures Council and published in DesignIntelligence. The first school to combine the disciplines of architecture, planning, and landscape architecture into a single college, the College of Design led the way toward an integrated approach to analyzing, understanding, and designing our built environment. CED was also among the first to conceptualize environmental design as inseparable from its social, political-economic, and cultural contexts. UCD Architecture has been at the center of Ireland’s architectural culture for over a century. UCD Architecture operates within the immediate framework of the practice of architecture in Ireland and in the larger context of international architecture. Its mission is to prepare students for careers in architecture and related fields, to play a central role in Ireland’s architectural culture, to be a genuine learning laboratory and testing ground for the architectural profession, and to make a strong contribution to architectural and interdisciplinary research. UCD Architecture is known for its close and productive relationship to high-quality practice, with many leading figures, including O’Donnell + Tuomey and Grafton Architects, among current faculty and adjunct staff. The school has a strong reputation for sophisticated design thinking and making, for excellence in teaching, and an international research profile in sustainability, conservation and heritage, history and theory of architecture. Its undergraduate and graduate programmes are accredited in Ireland, by the RIBA and its M.Arch is in the final stage of acquiring substantial equivalency accreditation with NAAB in the USA. The Graduate School of Architecture (GSA) at the University of Johannesburg founded in 2015 with a simple mandate: to transform contemporary African architectural education. Located in one of the world’s most exciting and challenging cities, the school aims to offer a world-class architectural educational experience to our students. The GSA is the continent’s only dedicated post-graduate school of architecture and the only African school to offer the world-renowned Unit System way of teaching, first pioneered by London’s Architectural Association in the 1970s. The African continent is a uniquely challenging and creative laboratory which gives our students and tutors the edge in finding and exploring new ways to think and do work. At the University of Miami School of Architecture, our rigorous curriculum is rooted in the historical and theoretical framework at the core of intelligent and thoughtful design but also looks to the future, with optimism and excitement about the role of design in shaping and stewarding the environment. Our students learn about the latest trends, techniques, and tools from faculty who have active practices and are leaders in their fields. After completion of the core curriculum, which emphasizes both hand-drawing and digital media, students have the opportunity to study abroad and the freedom to explore a variety of aspects of research and practice in their upper levels: healthcare design, urban design, design build, historic preservation, furniture making, interior design, sustainable design, computational design, and more. Whether designing a public promenade on Miami’s waterfront district or using drones to map an informal city in Colombia, students dig into real-world learning and community service activities steered by a philosophy of learning from and investing in the world around us. Taubman College seeks to improve the human condition through thoughtful design and planning for the built environment. Its academic programs prepare graduates for positions of responsibility within a wide spectrum of professions, organizations, and institutions that shape the built environment at scales ranging from local to global. Taubman College conducts innovative design and policy research and serves the community, the state, the nation, and the world through outreach and partnerships. In pursuit of these ideals for over 100 years, Taubman College offers students from the state, the country, and around the globe a complement of disciplinary and interdisciplinary degree programs ranging from pre-professional to post-professional to Ph.D. Our committed and energetic faculty, staff and students form a diverse, creative, and collaborative community within the University of Michigan, one of the world’s largest research universities. Taubman College has a long educational tradition that combines design and technology. Today, it continues to foster a broad view of architecture and urban and regional planning in the context of a major research university where interdisciplinary initiatives are encouraged and supported. Founded in 1914, the University of Oregon’s College of Design (formerly the School of Architecture and Allied Arts) is dedicated to advancing the understanding, value, and quality of visual culture and the built, natural, and social environments through excellent and distinctive teaching, research, and creative endeavors. The college offers undergraduate and graduate accredited degrees in Eugene, nestled in the lush Willamette Valley, and at the historic White Stag Block, University of Oregon’s hub of activity, discussion, and engagement in Portland. Grounded in a unique multidisciplinary structure, the College of Design is a diverse, collegial learning community of students, faculty, and staff. The college’s academic programs include architecture; interior architecture; landscape architecture; historic preservation; art; product design; sports product design; art and technology; history of art and architecture; and planning, public policy and management. The College of Design is committed to the principles of civic responsibility, environmental sustainability, international understanding, and interdisciplinary education. We provide the skills and mentorship needed for our students to tackle complex global challenges and positively affect the people, communities, and environments around them. PennDesign is an inventive place of learning where the many fields of architecture, planning, preservation, landscape and the fine arts come together on shared ground. At PennDesign, we are dedicated to design that is creative in nature and transformative in impact. In a collaborative environment that fosters inquiry and experimentation, faculty and students seek to recast the distinction between theory and practice, expand knowledge and invention through research, and contribute works of value and beauty. The USC School of Architecture has achieved a more than 90-year tradition in educating and cultivating some of the finest architectural minds, in addition to contributing to the development and construction of the city of Los Angeles. This tradition is built on a foundation that integrates exemplary instruction, design, research, and technology. The USC School of Architecture offers a 5-year professional undergraduate degree, Master’s degrees in the areas of architecture, building science, historic preservation and landscape architecture, and a new Ph.D in Architecture. As Los Angeles claims a double frontier in both America and the Pacific Rim, USC is reaching afar to new territories and cultures. In conjunction, the School of Architecture is launching new initiatives in cross-cultural and cross-disciplinary discourses, including the USC American Academy in China. UTS Faculty of Design, Architecture and Building is located on a state-of-the-art urban campus in the heart of Sydney’s creative industries precinct. The faculty’s three schools promote a vibrant studio and research culture underpinned by a global outlook. The School of Architecture is a laboratory for the future of architecture and landscape architecture, committed to improving our cities’ diverse environments through critical and creative spatial thinking. The School of Built Environment has a reputation for creating some of the most progressive, future-focused thinkers and leaders in the construction, property, planning and related industries. The School of Design forms a dynamic community across the design disciplines, promoting ethical and practical solutions to improve systems, spaces, materials, networks and objects. The fields of architecture, landscape architecture, and urban design are characterized today by exceptional pressure for change. Globalization and the convergence of new media, materials, and building technologies have led to radical change in economic, technical, and aesthetic formations in the design fields. The John H. Daniels Faculty of Architecture, Landscape, and Design is responding to these shifts. As the largest city in Canada and one of the most dynamic in North America, Toronto is a thriving metropolis, providing exceptional resources for the aspiring architect, landscape architect, or urban designer to study the early twenty-first-century human condition. Daniels has a global orientation in its teaching and research while simultaneously believing in the importance of sensitively addressing local forces. In this context, Daniels strives to harness the potential of Toronto’s distinctive multi-ethnic and multicultural society. The greater Toronto region serves as a dynamic laboratory for critical studies and the imaginative exploration of design alternatives that will be of consequence internationally. Students not only have the city to use as a resource, but also have access to Toronto’s large professional design community, many of whom teach at the school. In addition, the city’s multicultural networks and international connections make Daniels a powerful place to start a career. Daniels’ focus on interdisciplinary training and research will test your limits and challenge you to rethink design for the 21st century. Catalyzed by Thomas Jefferson’s radical vision for new social, political, and architectural conditions, the School of Architecture at the University of Virginia is a small and nimble school focused on understanding architecture, landscapes and urban traditions of the past, analyzing spatial conditions of the present, and projecting provocative potentials for future living. Our long-standing foci in design and health, sustainability, cultural landscapes, and community engagement provide strong foundations for our emerging strength in Urban Design on a local, national and global stage. As a school with four distinct but highly collaborative departments, Architecture, Landscape Architecture, Architectural History and Urban and Environmental Planning, we are committed to building, planning, researching, preserving and interpreting the constructed environment with one another, the humanities and sciences, and the world of action. Located in Seattle on the shores of Union and Portage Bays, bounded by the Cascade and Olympic Mountains and Puget Sound, the College of Built Environments offers students the opportunity to study design and construction at one of the nation’s preeminent public research universities. CBE houses four departments — architecture, construction management, landscape architecture, and urban design and planning — comprising fourteen degree programs, including four accredited professional degrees and two interdisciplinary PhDs. Built on a tradition of discovery anchored in principled design and community engagement, students at CBE enjoy sustained interaction with civic and professional leaders in one of the world’s most geographically diverse and dynamic metro regions. Seattle serves as a singular laboratory for critical exploration of the interdependent roles of design, planning, urban ecology and construction in the resilience of twenty-first century cities. Practice internships in and around the Pacific Northwest supplement coursework, and students pursue global interests through foreign study in Rome, Copenhagen, Mexico City, Chandigarh and cities throughout Asia. A dozen sponsored research and entrepreneurial centers further enrich professional education and scholarship in the college, including the Integrated Design Lab, the Urban Ecology Research Lab, the Green Futures Lab, the Urban Form Lab, the Runstad Center for Real Estate Studies and the Pacific Northwest Center for Construction Research and Education. Virginia Tech’s College of Architecture and Urban Studies’ mission is to understand, through acts of creation, design, construction, and analysis, the forces that give meaning and value to the built environments that shape our lives. With an enrollment of 2,200 undergraduate and graduate students, the college houses four nationally ranked schools: the School of Architecture + Design; the School of Public and International Affairs; the Myers-Lawson School of Construction; and the School of the Visual Arts. The Sam Fox School of Design & Visual Arts at Washington University in St. Louis is an interdisciplinary and diverse community of architects, artists, designers, landscape architects, and urban designers dedicated to excellence in learning, creative activity, research, and exhibition. Our unique structure allows us to build on the strengths of our faculty and students in each unit — Art, Architecture, and Museum — and on the resources of the University to create new knowledge and address the social and environmental challenges of our time. The Graduate School of Architecture & Urban Design has a nationally ranked, accredited professional degree program in architecture; a newly accredited landscape architecture program; a post-professional urban design program that is the second-oldest of its kind in the country; and a recently launched Doctor of Sustainable Urbanism, the first degree of its kind in the United States. These programs focus on environmental ethics, historical and global perspectives, innovation, and technological fluency, providing students with experiences that will allow them to be leaders in their fields. With dual degrees offered in architecture, landscape architecture, and urban design and joint degrees with construction management, social work, and business, design becomes the synthetic context for transdisciplinary knowledge through research and practice. The School of Architecture is a network of hubs strategically sited within the larger Southern California megalopolis: Los Angeles, Burbank and San Diego. Together, these sites form a critical infrastructure for architectural investigations. The school’s undergraduate and graduate programs in architecture and interior architecture train students as entrepreneurs, architect citizens and cultural builders. Our Bachelor of Architecture, Bachelor of Fine Arts in Interior Architecture, Master of Architecture and post-professional graduate programs in architecture and real estate prepare students to effect positive change in the built environment, to tackle theoretical debates and to take on architecture as a critical practice. Our faculty is composed of active and prolific architects, designers and academics practicing in Los Angeles, San Diego and Tijuana. Internationally recognized and award winning, the faculty works closely with students, teaching the skills required to expand the limits of practice and debate the possibilities of our disciplines. The mission of the Yale School of Architecture is to educate architects, scholars, teachers, and leaders who will shape the future through design. Located in New Haven, the School offers professional and post-professional architecture degrees as well as the interdisciplinary Master of Environmental Design; it also supports an undergraduate architecture major and a Ph.D. program. The Yale School of Architecture is home to the Jim Vlock First Year Building Project and Perspecta, the oldest student-edited architecture journal in the United States, as well as the Center for Ecosystems in Architecture, a new hub for research into technology and materials to sustainably transform the built environment.